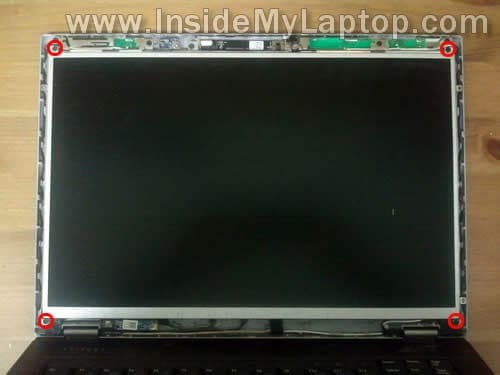 In this guide I’ll be replacing the LCD screen on a Dell Latitude E6410 laptop. Very gently insert your fingers under the display bezel. 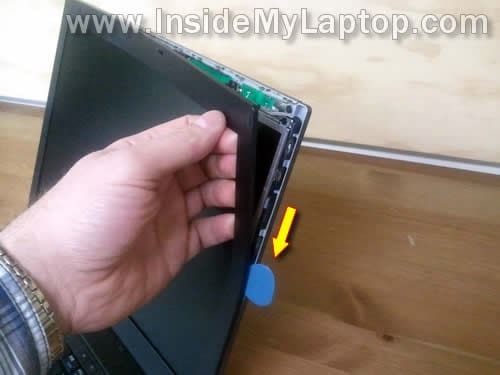 Continue separating the bezel from the back cover on both sides of the display assembly. 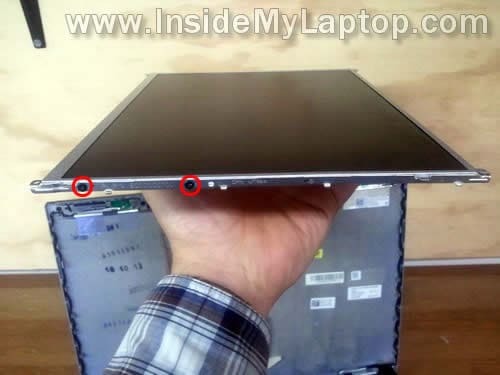 The bezel has been removed completely. Remove four screws securing the mounting brackets to the back cover. 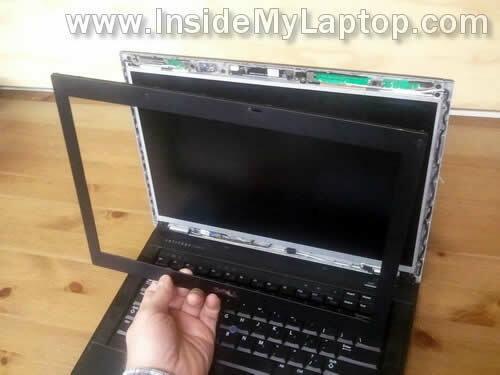 Carefully separate the LCD assembly from the display back cover and place it on the keyboard. 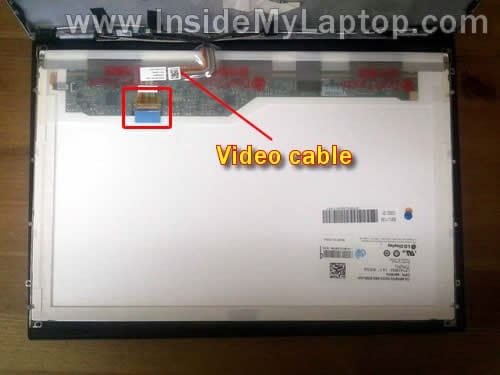 Now you can access the laptop video cable. Remove sticky tape securing the connection and unplug the video cable from the connector. 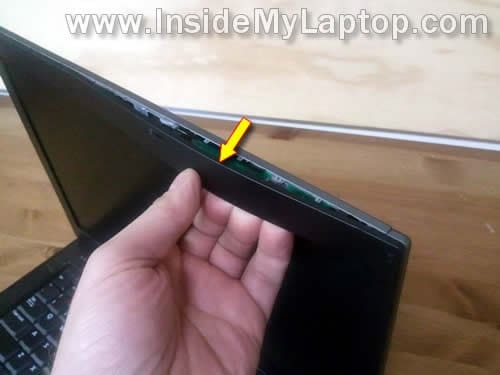 Remove the failed or damaged LCD. It’s ready for the replacement. You’ll have to transfer both (left and right) screen mounting brackets to the new replacement screen. Each mounting bracket secured by two screws to the side. 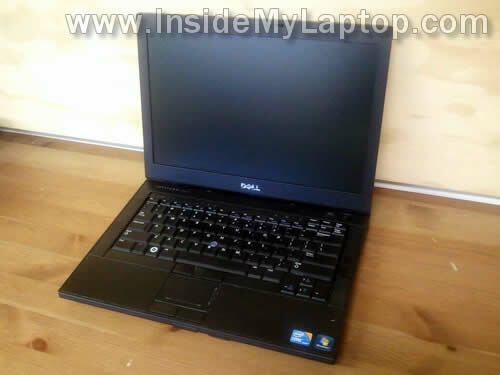 Dell Latitude E6410 has a 14.1″ LED-backlit LCD screen installed. 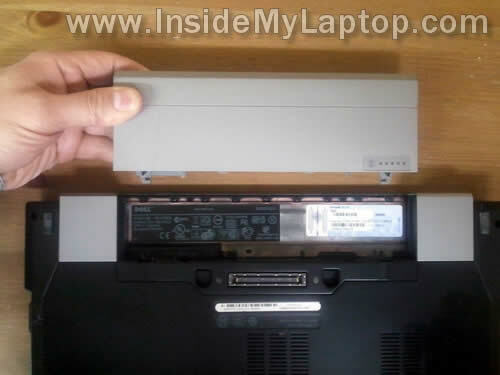 I’m trying to identify some small boards behind the LCD on a Dell E6410. What is the small board at the top left-hand side that has a cable coming from the LCD harness? Also what is the small board, bottom left-hand corner? I recognize the camera, microphone and antennas. What is the small board at the top left-hand side that has a cable coming from the LCD harness? Also what is the small board, bottom left-hand corner? Really helpful article. I just used it to swap out a broken screen, and the directions are flawless. Thank you for doing this. You’re an absolute star for posting this. 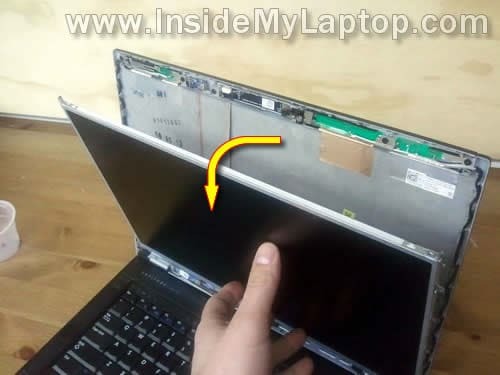 Just replaced the screen on our laptop. Perfect instructions! Thank yku. Thanks for the guide. 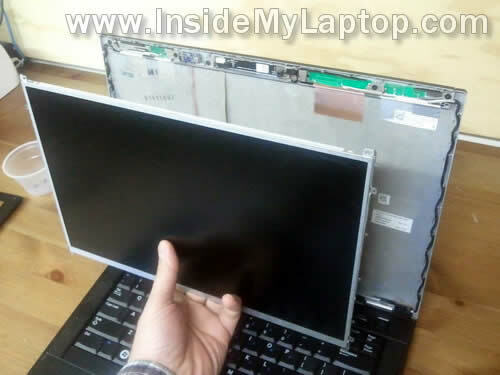 Replacing the e6410 screen was a breeze.